Hi, I'm Lee. I'm a graduate of Lincoln Technical Institute with 16 years of experience in the automotive industry. I look forward to servicing your vehicle. I was happy to get the starter replaced, but then the CEL (code P0662) came on after the install. I have been unable to contact Lee or schedule someone else to come out and fix it. Unhappy. Lee showed up on time and had work done in a timely manner. He did a great job! Found this service by accident. I thought this is a great idea. Already had a schedule appointment with the dealership. I said why not give this a try. I'm thrilled. He left me know when the were coming, had every they needed left the car exactly how he found it. If your hesitant don't be. Completed job in less than 30 minutes. Knowledgeable, astute and exemplary service. He was on time and promptly got the issue taken care of. 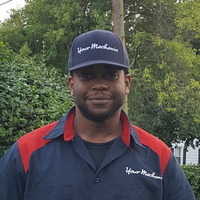 Lee was prompt, friendly and offered some recommendations for future maintenance for my vehicle. Arrived on time and completed the job. Nice person with a great attitude. First experience using a mobile mechanic but Lee made things so easy! Great communication on arrival time, got straight to work and finished quickly. Definitely will use again!! Lee was very friendly and made my car run like new again! Prompt, efficient and pleasant. What else can you ask for. Lee was on time and very professional. Lee is a great friendly guy who knows his stuff. Lee was on time, installed my brakes and rotors in a reasonable amount of time, and recommended next service. He was personable and professional.